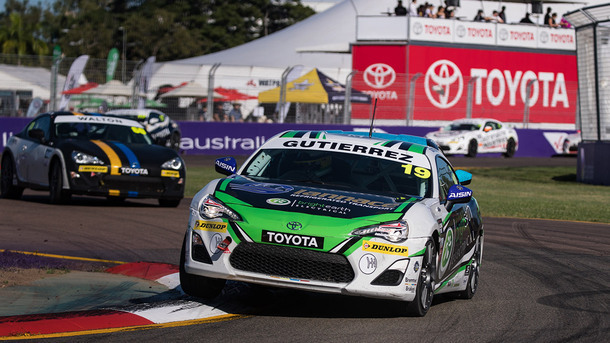 South Australian racer George Gutierrez is looking forward to his home Toyota 86 Racing Series round this weekend at The Bend Motorsport Park. The local will not only enjoy having a home track advantage but will also feature additional local support with South Australia's leading Toyota Dealership, CMI Toyota, jumping on board with his family run team. "I am very pleased to welcome South Australia's number one Toyota Dealer, CMI Toyota, to our T86RS campaign, beginning this week at The Bend, which is our home event." said Gutierrez. "The CMI (Commercial Motor Industries) history spans more than 50 years and in 1963, CMI Toyota became the South Australian distributor for Toyota commercial vehicles. "I feel extremely privileged to be able to represent such a reputable company. I look forward to working closely with the team at CMI Toyota for the remainder of the 2018 Season. CMI Toyota is also looking forward to partnering with the local talent as he continues to pursue his career in motorsport. 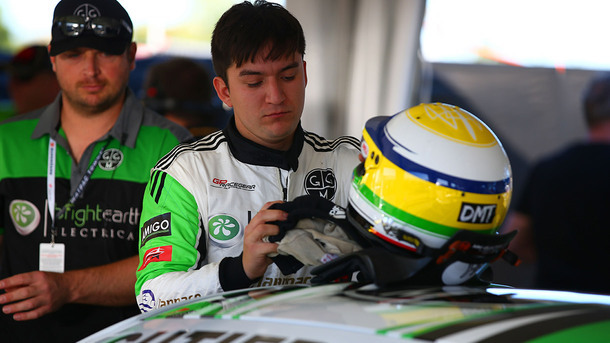 "CMI Toyota, South Australia’s number 1 Toyota Dealer, is proud to support George Gutierrez and his motorsport team as they compete in the 2018 Toyota 86 Racing Series." said Adam McCallum, CMI Toyota Adelaide Branch Manager. "We love seeing young South Australians chase their dreams and George has been on his journey since he was 5! With the support of his Father and other sponsors and supporters, he has carved out an impressive career thus far in the demanding, ultra-competitive and expensive sport that is motorsport. "We have many passionate guests who love their Toyota 86 sports coupes so it seemed like a natural fit to help George to continue to pursue his racing career in the exciting Toyota 86 Racing Series. "Graham Davies our Parts Manager has helped supply panels for George’s 86 although we hope not too many more panels will be required this season!" 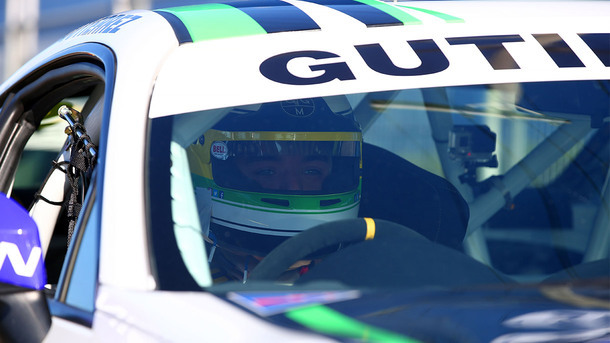 While the brand new circuit at Tailem Bend will be a new challenge for many of his rivals, Gutierrez is looking forward to holding a home track advantage for the first time in national level competition. The Bend Motorsport Park is a circuit he has already had success at, taking out two class wins in the South Australian Improved Production Car Series earlier this year. "I am hoping we are able to take advantage of my time racing at The Bend. The past two rounds have been promising considering we have never driven on those tracks before. Now with the tables being somewhat turned and having been able to have tested on the track, we will be one step ahead of where we normally are on race weekends." Gutierrez continued. "It is going to be an excellent event for our sponsors who are South Australia based, being the first event at the new Tailem Bend complex we are hoping that is will draw a big crowd." The Toyota 86 Racing Series will take to the track at The Bend Motorsport Park for the first time on Friday (24/8), for practice ahead of three races.